Hi everyone just realised it's been a month since I blogged but I've been busy making cards that I can't show yet! The sketch is below my card. I used a freebie stamp to create lines across and the little bird is from Ultimate Crafts. Next week is Charlie's 5th birthday so I'll be showing you the card I made for him. Weather looks awful this weekend so have a crafty one! Wow, this is stunning, Val! 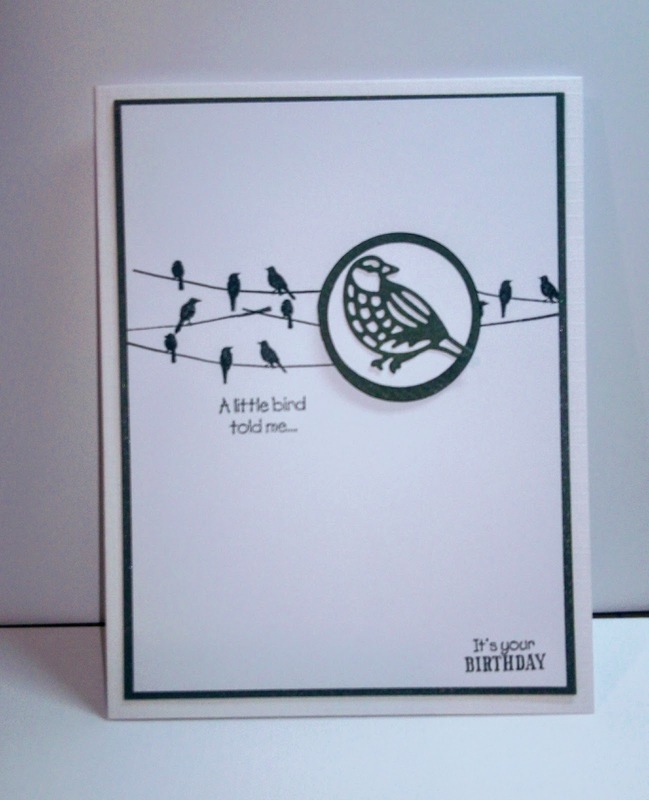 I love how you used the little birds for your horizontal lines, and the monochromatic is so elegant. Super use of the sketch, very creative. Hope you have a good weekend. perfect take on the sketch and a perfect clean and simple design, val!!! wow!!! Charlie will be five??!!! where did the time go??? can't wait to see what you whipped up for him! Only a week for me between blog posts but I have had a busy week so that's my excuse! This is a lovely CAS card Val. 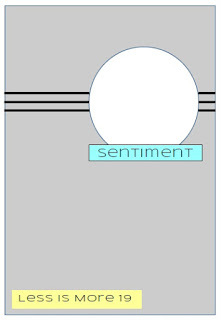 Its a beautiful CAS card, it looks a great sketch to follow. A terrific take on the sketch! Thanks for sharing at Less is More! 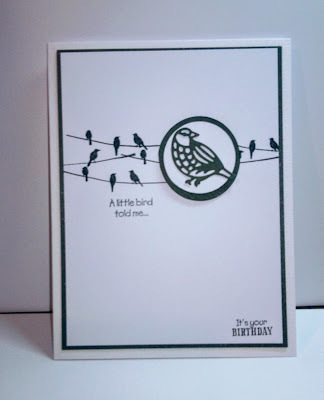 Love your idea to use the birds on wires as the horizontal element, and I like that you kept your design monochromatic. Great gender neutral design too. Lovely to see you posting again Val and what a way to go with this super graphic and beautifully stamped CAS card. Try saying that after a few gins.! Great to see you at my two favourite challenges with this terrific card Val! Thanks for joining in the fun at LIM and HLS CAS challenge this time!